A plot based on the fish out of water scenario follows a character who steps into a situation, community or lifestyle that is totally different from his or her customary environment. The move may be voluntary, as in the story of Orpheus, who deliberately journeys to Hades to rescue his wife. In other stories, the character may wake up in an unfamiliar world by accident, like the castaway in Daniel Defoe’s Robinson Crusoe. As the fish learns about this new world, so do you, the reader. As the fish begins to adapt and finally escapes or acclimates, you feel similar triumph. A fish out of water situation is compatible with any of the seven basic story plots. For example, Jack and the Beanstalk tells how a boy vanquished a giant (Plot 1). When Jack climbs the beanstalk and enters the giant’s domain, he is a fish out of water, completely unfamiliar with the territory. You learn, along with Jack, about the giant’s kingdom and cannibalistic lifestyle. As a reader, you are rooting for Jack to outrun the giant before gets eaten. Jack just barely escapes the giant and chops down the beanstalk, causing the giant to fall and die. The fish out of water has learned enough to vanquish the monster.The Voyage and the Homecoming storyline (Plot 4), frequently involves a hero who is a fish out of water. In Homer’s The Odyssey, Odysseus travels through multiple environments that are completely new to him, from the Cyclops’ cave where he is held captive to the Isle of Circe where the enchantress turns some of his crew into swine. 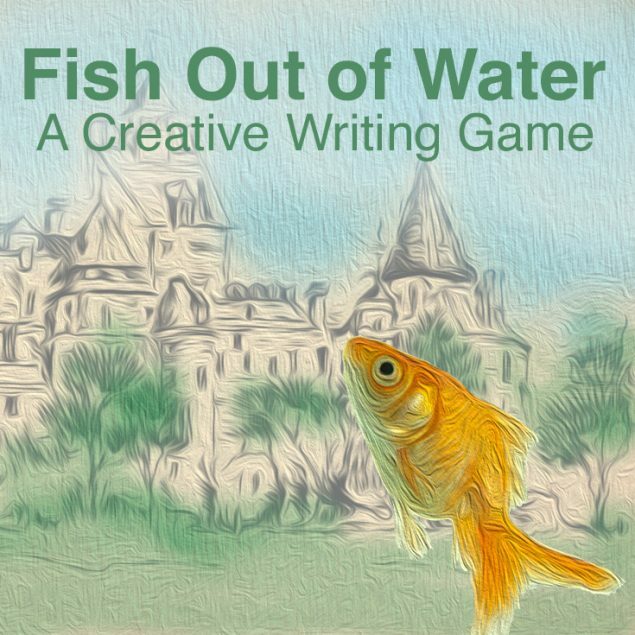 Odysseus is a sly fish out of water who quickly adapts to new situations and learns how to escape a score of dangers before finally arriving home.In stories of rebirth (Plot 7), fish out of water learn how to redeem themselves in new environments where they are able to escape their troublesome pasts. In Charles Dickens’ A Christmas Carol, Ebenezer Scrooge is a fish out of water who does not understand the spirit of the season. When others wish him a “Merry Christmas,” he answers with a “Bah, humbug.” However, through the instruction of the three spirits who visit him on Christmas Eve, Scrooge undergoes a rebirth, waking in the morning just as full of joy as the world around him. 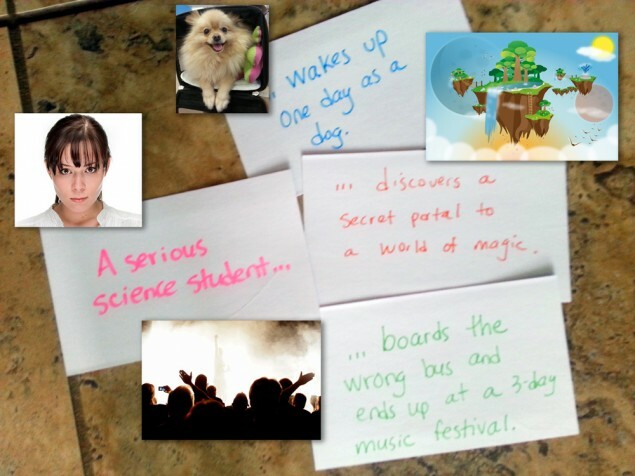 Today’s activity is a group activity and all you’ll need is blank index cards, some pens, and your imagination. Give each player a blank index card and place all the blank index cards in the middle of the group. Each person writes down a “fish.” This is the main character in a new story. Once everyone is done creating a fish, the first player takes a turn shows her/his card. Once they are done, they put their cards face down in a pile. The person whose turn it is reads all the ideas and picks his/her favorite. The next person takes a turn!